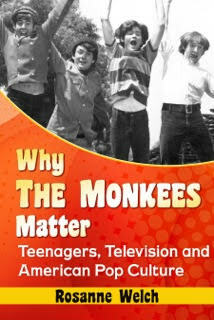 Dr. Rosanne Welch’s Essay, “Hey, Hey, They Wrote The Monkees”, Included In Paperback L.A. Book 3! 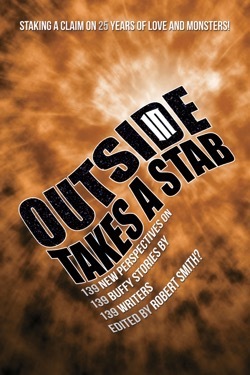 The lovely thing about putting writing out into the world is that sometimes you receive calls or emails from editors who stumbled upon your work and want to reprint it in their own anthologies. 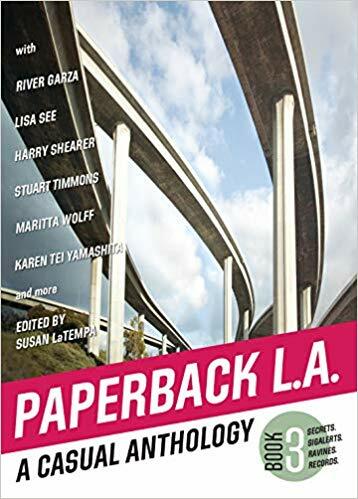 Such a lovely experience happened to me recently when Susan La Tempa, editor of Paperback LA – a series of 3 anthology collections of writings about Los Angeles across the decades, contacted me. She had read my article on the wild and crazy careers of the former writers of The Monkees and wanted to add it to her 3rd collection. 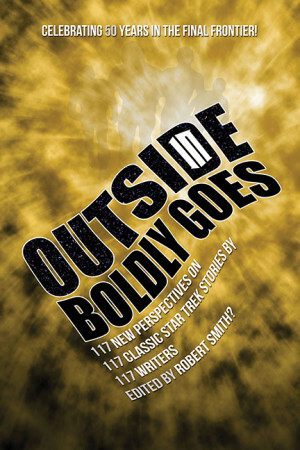 Happily, I received my contributor copy in the mail today and it looks great. The fact that my name appears in a Table of Contents along with great California writers like Casey Williams, Lisa See, Harry Shearer and Jonathon Gold (the only Pulitzer Prize-winning food writer) is… amazing to me. 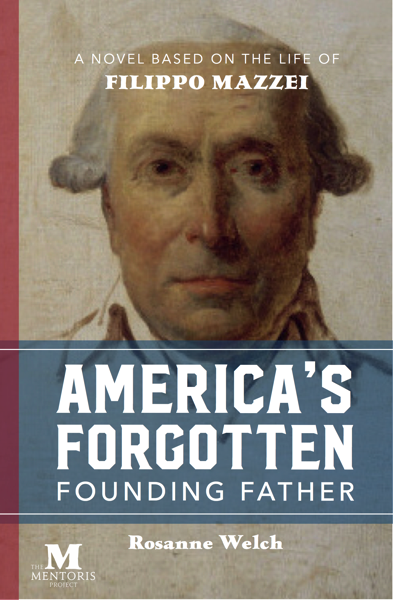 Can’t wait for the publication launch party, signing and reception Sunday May 5, 2019 (4-6 p.m) at the Helms Design Center. Free and open to the public! Paperback LA is Reprinting The Monkees Article that Started it All! Author Dr. Rosanne WelchPosted on March 28, 2019 Categories Announcments, Books, History, LA/Los Angeles, Monkees, Press, Television, Writers on Writing, WritingLeave a comment on Dr. Rosanne Welch’s Essay, “Hey, Hey, They Wrote The Monkees”, Included In Paperback L.A. Book 3! Born in Guildford, Surrey, Harrison studied at St Hugh’s College, Oxford and reviewed films for the student newspaper. She also studied at the Sorbonne. In 1933, she became Alfred Hitchcock’s secretary. 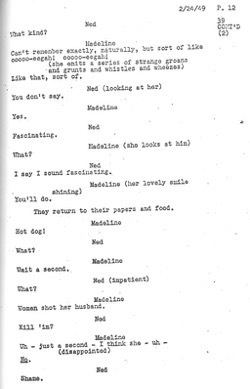 Eventually she began reading books and scripts for him and became one of Hitchcock’s most trusted associates. Harrison appears in a scene in Hitchcock’s original version of The Man Who Knew Too Much (1934), eating dinner with Peter Lorre’s character. She was among the screenwriters for the film Jamaica Inn (1939) based on the novel by Daphne du Maurier. When Women Wrote Hollywood is a collection of 23 essays focused on the lives of female screenwriters of Golden Age Hollywood. 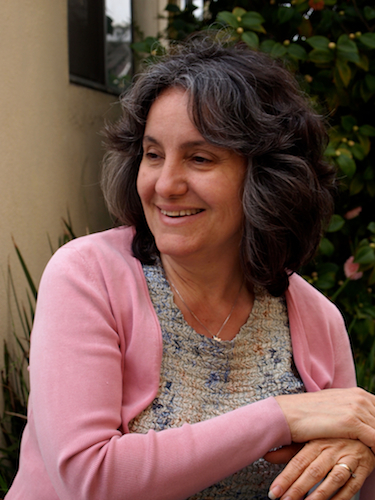 Celebrate the work of these female screenwriters by meeting the authors! 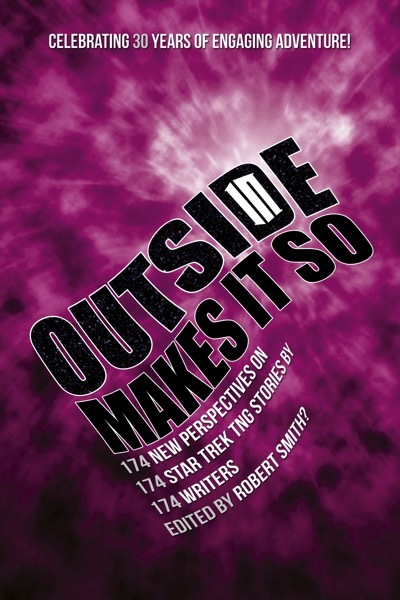 Buy the book, listen to the authors share about their subjects, and get your book signed! 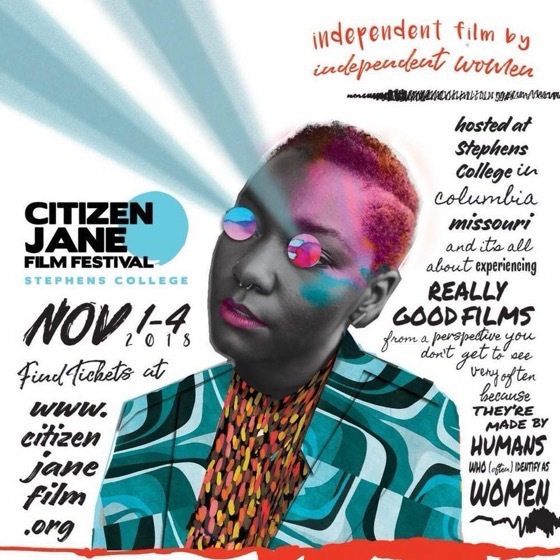 * Citizen Jane Film Festival Badge Not Required – This is a FREE Event! 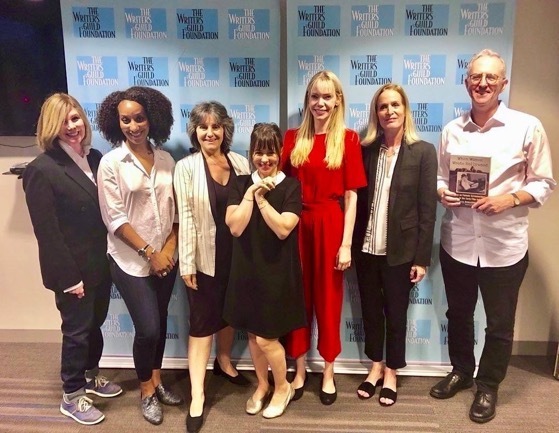 I had a great time moderating another panel for the WGA Foundation and enjoyed meeting all these female comedy writers. We talked about the power of comedy to force us to face the issues of our day and the pure fun of finding your place in a writers room. I took the opportunity to ask Gail Parent (of The Carol Burnett Show, and The Golden Girls) to sign my used copy of her novel Sheila Levine is Dead and Living in New York so now I have another book to add to my autographed shelf! 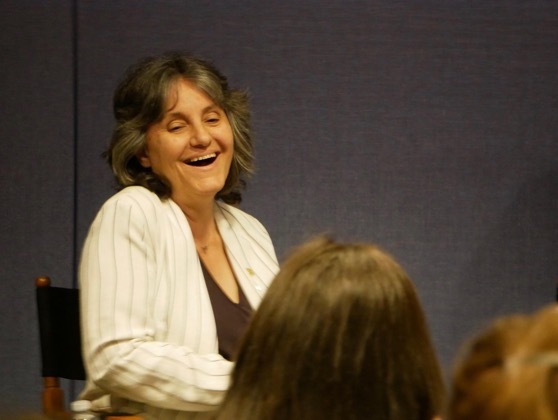 It was wonderful to feel the reverence in the room whenever she spoke – coming from the audience as well as the panel. That kind of reverence for those who came before us is usually reserved for men, which made experiencing it so much more powerful. Gail Parent from The Golden Girls, and The Carol Burnett Show AND author of one of those books I was forbidden from reading when I was in middle school, but read anyway: Sheila Levine is Dead and Living in New York. This is going to be FUN! Hope you can join us! “We could all use a good laugh. 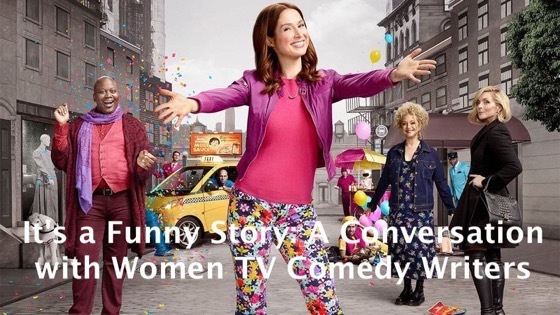 Fortunately, we can all unwind with an abundance of outstanding television comedy shows that are available at the click of a button. But comedy isn’t just for the jokes anymore: an increasing number of shows tackle universal problems and surprisingly navigate us through our challenging world. 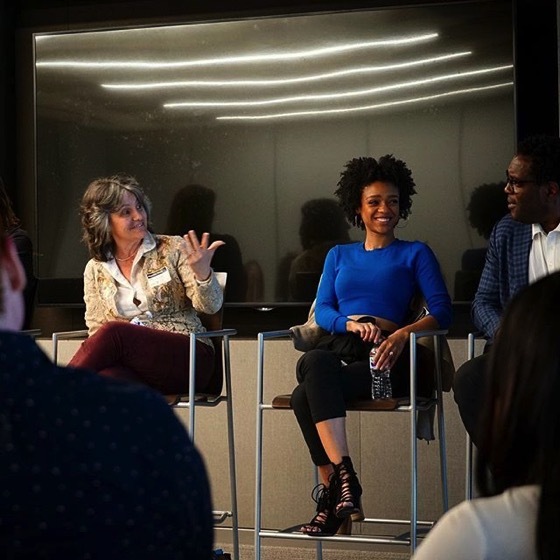 And as writers rooms continue investing in diverse talent, the voices you hear from your television take on fresh perspectives. A fun site to check out is the Writers Guild Foundation Blog where they highlight some of the wonderful scripts in their catalog. 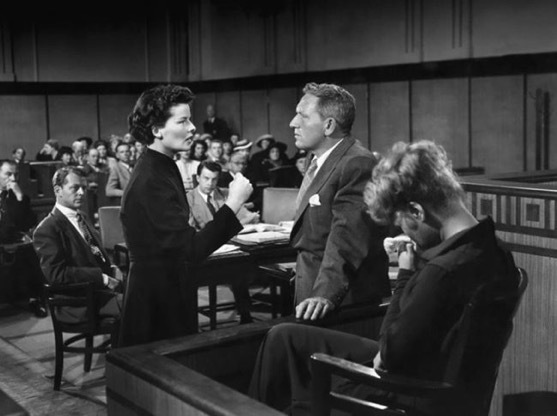 The link below takes you to a fun post about writers who created great chemistry on the page where the blogger excerpts a few pages from 1949’s Adams’s Rib, written by husband-and-wife writing team Ruth Gordon and Garson Kanin. Gorden and Kanin appear in an essay of mine, published in our new book, When Women Wrote Hollywood. …And after that great post, check out this one, on Norma Rae. Lauren Bacall gives Humphrey Bogart some side eye and he grins. Billy Crystal and Meg Ryanargue about orgasms at Katz’s deli. Yammering Paul Newman talks a mostly silent Robert Redford’s ear off in the wild west in the late 1800s. 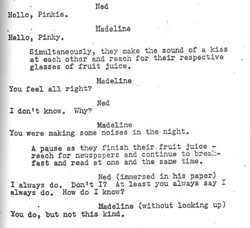 Basically, two characters come together as partners on screen and if we’re lucky, their interactions and friction produce this happy spellbinding effect. We call it chemistry, but often in the business of creating movies and television we treat it like it’s magic… as if it’s elusive and very difficult to conjure and we shouldn’t talk about it too loudly because we don’t want to squelch the enchantment. What if we treated chemistry as what it is? That is to say, a science. Kitties are ready to go to Stephens College’s Citizen Jane Film Festival this week and so are we! When Women Wrote Hollywood: Essays on Female Screenwriters in the Early Film Industry — Now Available! 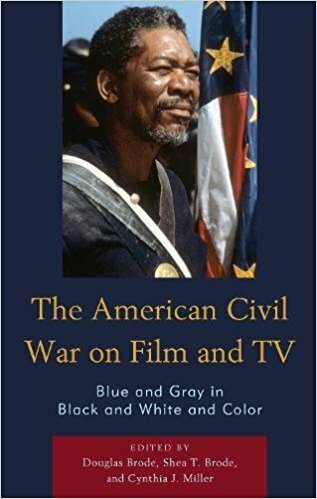 I’m so excited to see that we’re now publishing on this collection of essays written by the original cohort of students in our first Stephens College MFA in Screenwriting which I edited and for which author Cari Beauchamp wrote a wonderful forward covering the life and influence of Frances Marion. 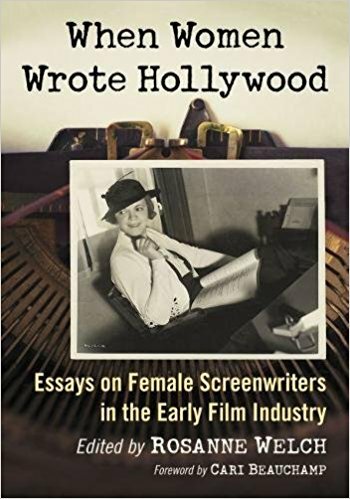 These 23 essays cover a range of female screenwriters from the early years of film through the 1940s, women whose work helped create the unforgettable stories and characters beloved generations of audiences but whose names have been left out of most film histories. Not this one. This collection is dedicated to those women and written by a group of women grateful to stand on the shoulders of those who came before – as a beacon to those who will come after. Use “When Women Wrote Hollywood” in your classroom! — Contact McFarland directly for library and academic purchases. Subscribe to the “When Women Wrote Hollywood” Mailing List! 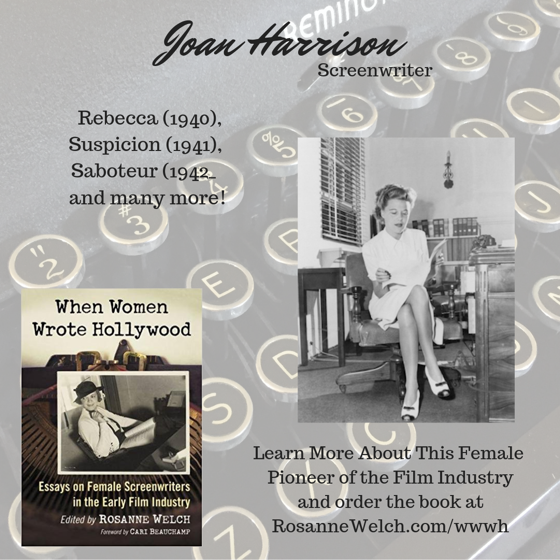 Author Dr. Rosanne WelchPosted on May 18, 2018 August 17, 2018 Categories Announcments, Books, Education, Film, History, Screenwriting, When Women Wrote Hollywood, Women, Writers on Writing, WritingLeave a comment on When Women Wrote Hollywood: Essays on Female Screenwriters in the Early Film Industry — Now Available! Students from @tennstateu and @uofmichigan came to our campus as part of a week-long industry immersion course. 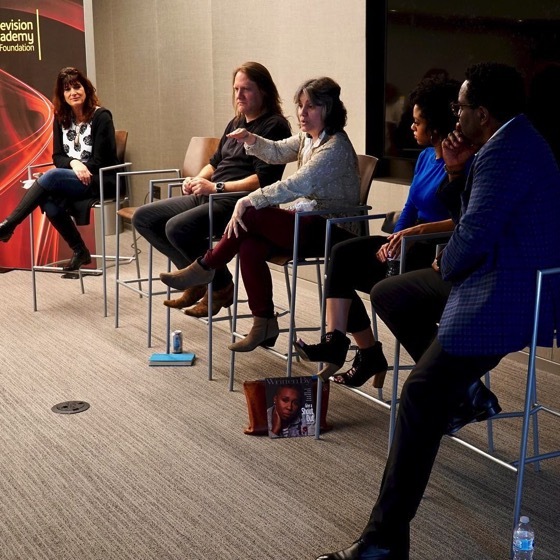 These students are pursuing careers in film and TV production, and the Television Academy Foundation was happy to connect them to professionals in their field! 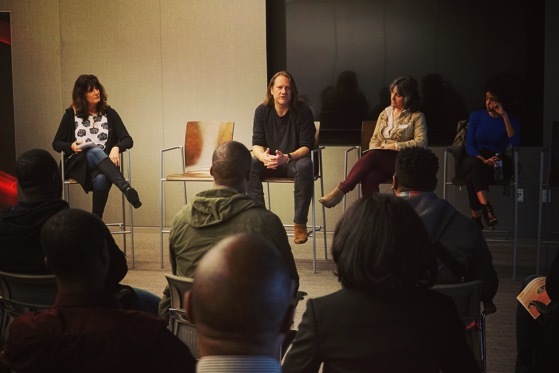 Dr. Rosanne Welch,Tony Carey (The Sopranos, The Riches, Just Shoot Me), Tiffany Boone (The Chi, The Following, Beautiful Creatures) and Chad L. Coleman (The Wire, Walking Dead, The Expanse) as part of the Television Academy’s Visiting Professionals Program.